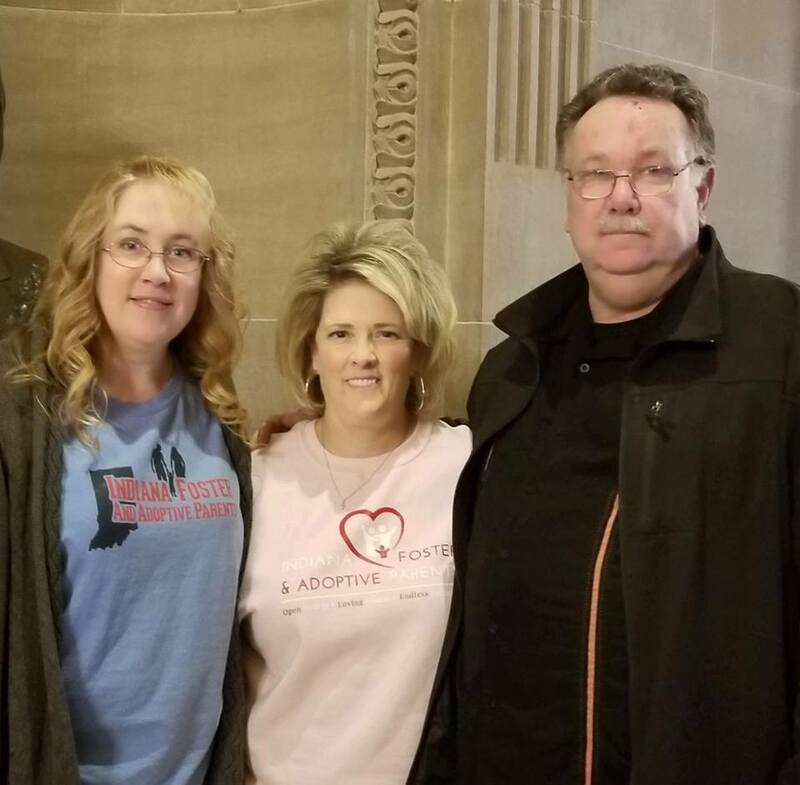 IFAAP members Heidi Curtis and Ernie Shearer, along with CEO Kristi Cundiff advocated for Foster Children at the Indiana State Capitol by handing out Paper Angels to State Senators. Foster Children are often referred to as “Paper Angels” because of the large file folders full of paper documents with their name on them. Each Paper Angel had a specific foster child’s initials, age, and length of time the child has been in foster care. Also attached was a verse to the song “Paper Angels” sung by former foster youth and Country Singer Jimmy Wayne. IFAAP Members hoped the Paper Angels would bring awareness to lawmakers of the emotional journey of a foster child.